Bonus comic, we’ve all been there. I have a bonus comic today. 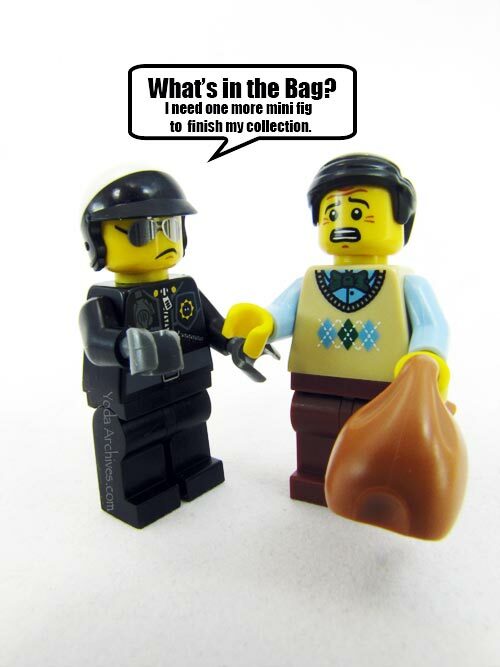 The idea for this one came up while I was working on the “What’s in the bag?” page. The page needed more images. What figure do I have that would search bags? a cop of course. I thought about using Chief Wiggum but he’s not intimidating. I’ve made a few minor changes to the What’s in the bag page, just rearranging a few things. See the link at the top of the blog. 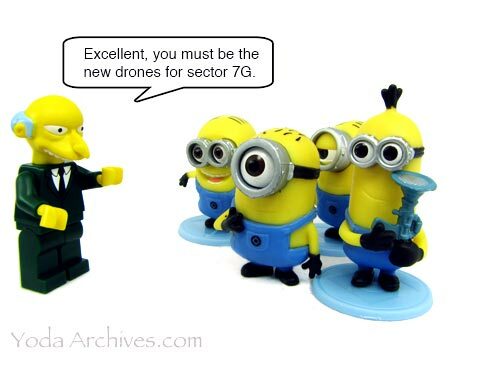 The Springfield Nuclear Power Plant has new drones.. I mean workers, the minions. How will minions do in a Power Plant? I’m glad I’m not near there. May is wrapping up and it’s been a busy month. I’ve spent the weekends vending at the Tennessee Renaissance Festival. It was a great year at faire best weather in a long time. And the crowds were awesome. For the first time I have collected an entire series of LEGO minifigs. And I bought them using the feel guides listed on the What’s in the bag page. So many thanks, to everyone that creates these guides. I made a couple of mistakes guessing. But that was mainly when I did not take enough time to verify by identifying two different accessories. I plan to use every figure in my toy photography. So far I’ve posted pics with Bart, Milhouse, Marge and now Mr Burns. I’m processing one with Lisa right now. Plus making use of a Simpsons accessory on friday’s post so look forward to that. Good luck if you are still searching. Also May has been a great month for traffic. It’s my busiest May on record and busiest month so far this year. So thank you for all the support.